This year we celebrate 80 years of innovative education – inspiring success. Join us on the journey - follow our timeline. An 'infant Hercules' was how Prime Minister William Gladstone famously described Middlesbrough as it rapidly expanded as a hive of industry. Student numbers increased rapidly beyond the original 700 anticipated - they grew to 2,211 by the outbreak of WW2 in 1939. Mac Stenson attended Constantine College as a member of the Engineering Cadets Group 3 between 1943 and 1946. They had been selected by the Ministry of Education for training in anticipation of the war continuing. 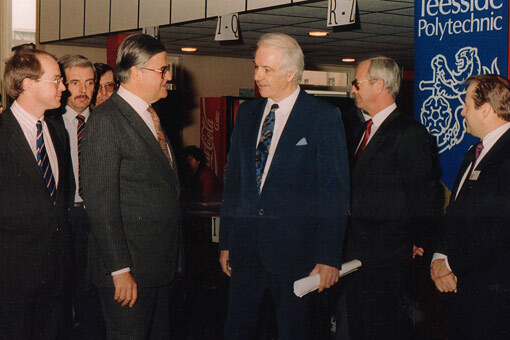 Roger Spence, Managing Director of Smith's Dock in the early 1980s attended Constantine College up to 1951 studying naval architecture. At this time the college consisted of the main building on Borough Road, part of the Hugh Bell school and row of tin roofed huts. 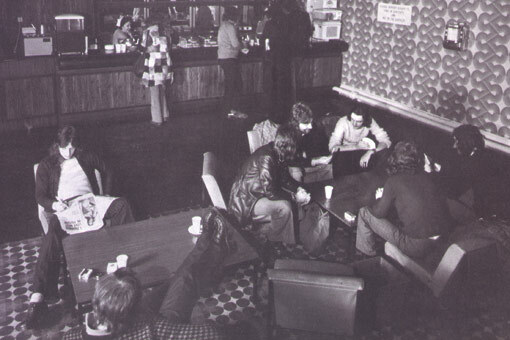 By 1970 the student population had grown to 3,000 and the plan was to expand this to between 6-8,000. During the early 1980s, there were plans for a student village, stretching from Borough Road to Albert Park - a dream now being fulfilled. Student numbers continued to rise leading to new halls of residence on Woodlands Road and overlooking Albert Park. 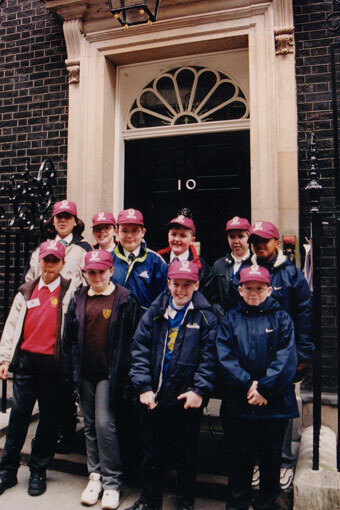 8,000 students were enrolled on the eve of University status in 1992. Early in the new millennium the Centre for Enterprise was built followed by an extension to the School of Computing. Student applications see a big increase as winning University of the Year raises the University profile. Students and friends of Teesside wish the University happy birthday as we celebrate our 80th anniversary. And the growing infant needed a college to build the skills needed to support the engineering, bridge and shipbuilding industries. 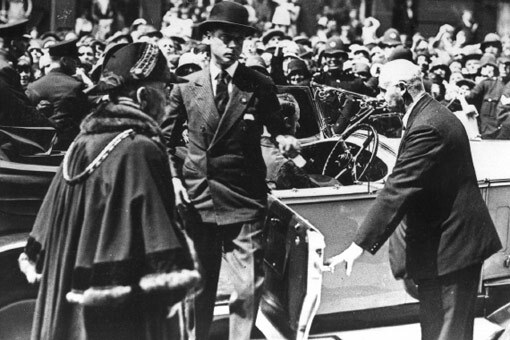 Local ship owner Joseph Constantine offered a then staggering £80,000 to help build a college and construction began in 1927. 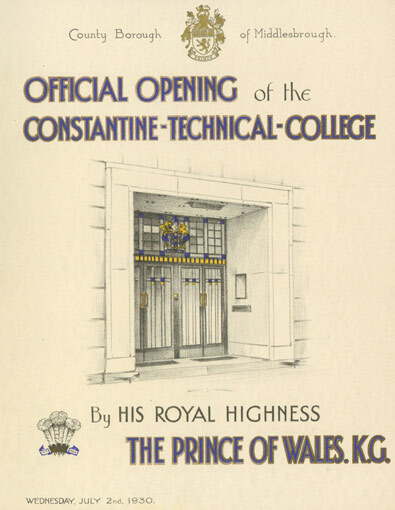 Teaching began on September 16 1929 without a fanfare but Constantine College was officially opened on July 2 1930 by the Prince of Wales, the future King Edward VIII. 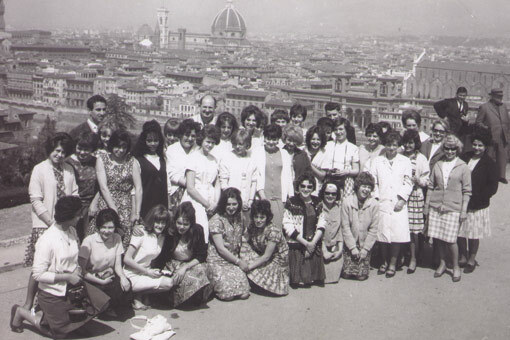 At first Constantine College concentrated on metallurgy, engineering and chemistry. 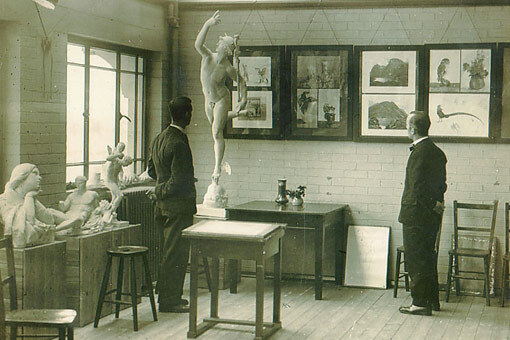 Constantine was both a further and higher education college - with students as young as 15 at one end of the spectrum and degree courses validated by the University of London at the other. Mac Stenson attended Constantine College as a member of the Engineering Cadets Group 3 between 1943 and 1946. They had been selected by the Ministry of Education for training as potential engineering officers for HM forces in anticipation of the war continuing. 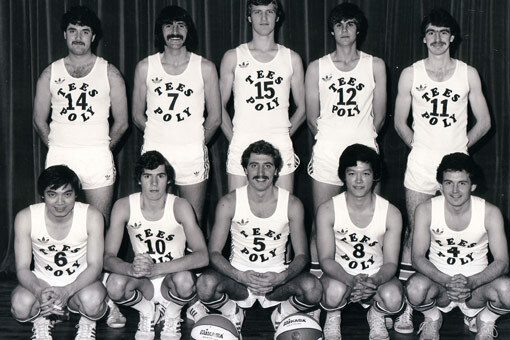 At that time the college had a tough physical training regime - starting with PE in the gym every morning. Mac met his wife Mavis at the college's 1943 Christmas dance. Most other students at the college during this period studied part-time. 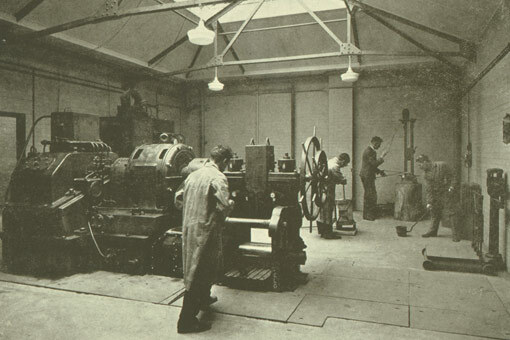 Classes were mostly held on an evening then with all the big engineering companies such as Head Wrightson, Dorman, Smith's Dock and the Furness shipyard sending their employees to study there. By now student numbers were well into their thousands and course subjects had expanded to window dressing for employees of Binns and other large stores. Pat Hope was one of those students - she enrolled in 1958. 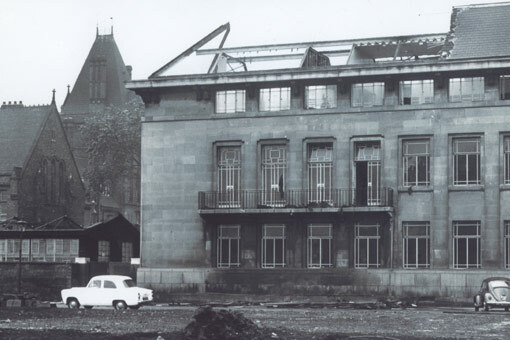 In 1962 the huts were pulled down and new building work began - forming the foundations of today's modern university. 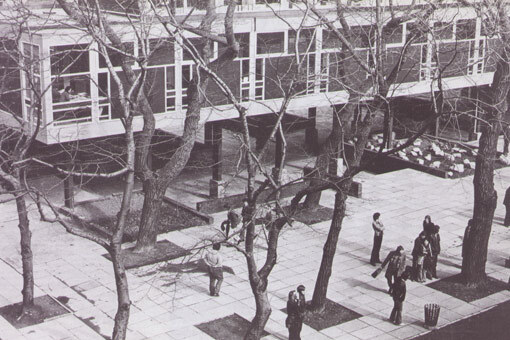 In 1969 Constantine College became Teesside Polytechnic after a decade of growth and expansion. Kidnapping a pop group may not be part of the current student curriculum at Teesside University. However, it was one of Terry Carter’s many fond memories of his time as an engineering student at Teesside Polytechnic in the early 1970s. Major re-development included the building of Middlesbrough Tower and 100 unit hall of residence. 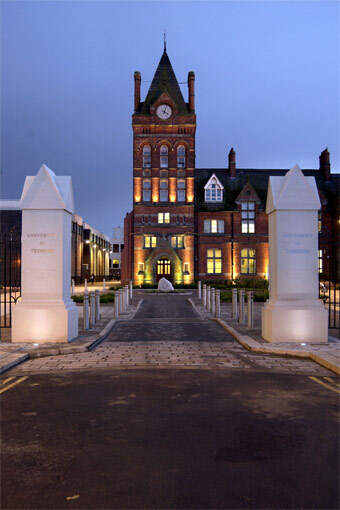 The Clarendon Building followed in 1973, the Stephenson Building in 1976 and in 1978, Teesside Polytechnic merged with Teesside College of Education and Flatts Lane was acquired. A library was added in 1978. 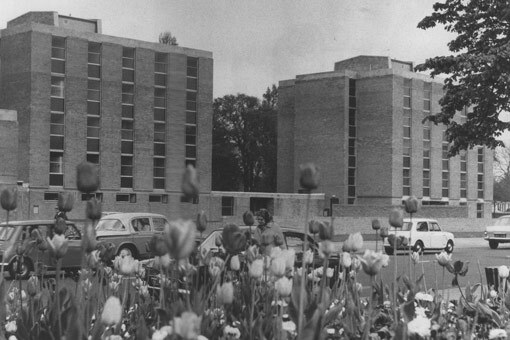 A state of the art chemical engineering building opened in 1981. The Mathematics and Computer Science Building - now the Grieg Building - opened in 1983. 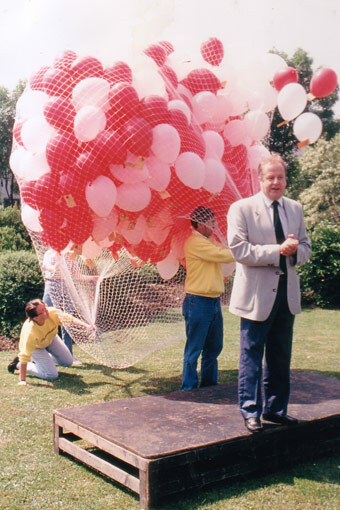 In 1989, Teesside Poly left local authority control and became a self-governing independent institution of higher education. 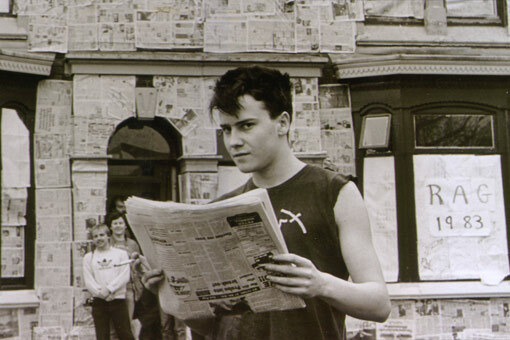 Student enrolments in October 1989 were over six and a half thousand. Student numbers continue to rise leading to new halls of residence overlooking Albert Park. 8,000 students were enrolled on the eve of University status in 1992. 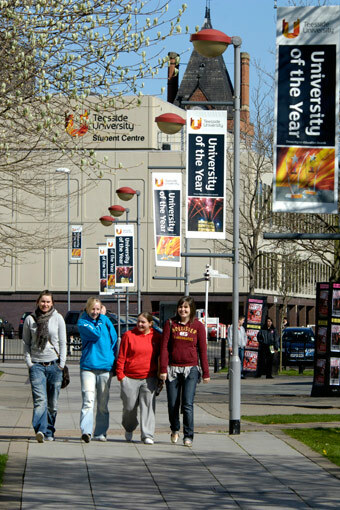 New degrees such as criminology and computer graphics attracted students from further afield and Teesside gained an international reputation. Sir Leon Brittan became the first Chancellor, on 30 April 1993. 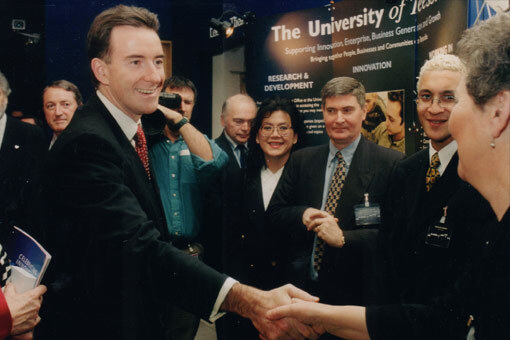 A state-of-the-art Open Learning Technology Centre (now Europa), complete with a 300-seater lecture theatre, open in 1994. 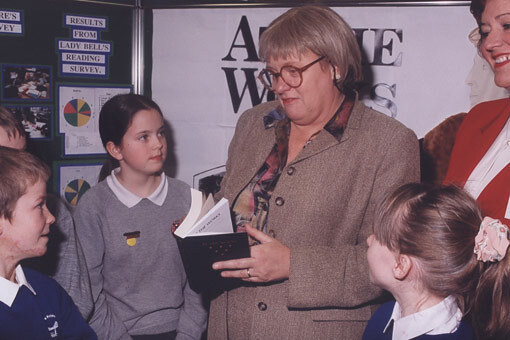 A showpiece library opens in 1997 followed by an innovation and virtual reality centre in 1998. The School of Health & Social Care's Centuria Building was officially opened by the Health Secretary of State Alan Milburn in November 2000. 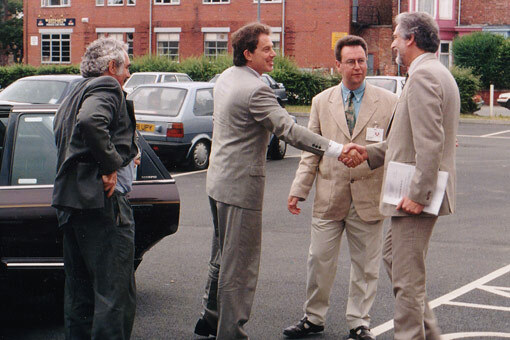 Prime Minister Tony Blair opened the Olympia Building for sport in 2004. In 2005 a massive investment programme was announced to make Teesside a centre of excellence for digital media - almost £20m has been spent on the campus. This includes the £12m Phoenix Building home to the Institute of Digital Innovation and the £10m Athena Building. 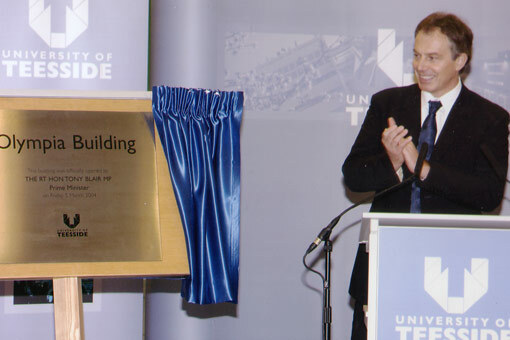 In 2009 the University underwent a major rebrand as Teesside University and scooped the hugely prestigious University of the Year accolade from the Times Higher Education magazine. Work begins on Teesside University Darlington - a new building on the Darlington College site. Centuria South - a new showpiece dental education and sports therapy complex opens its doors to students. The University celebrates 80 years of innovative education on Teesside - happy 80th birthday Teesside University.